Becca and I see certain questions pop up in our email boxes over and over, and one that always comes up during NaNoWriMo season is the question of how many POVs a novel should have. Like so many questions, this isn’t a cut-and-dry answer; so much depends on the type of story being told, what the author needs to achieve through multiple POVs, and to a lesser degree, the experience of the writer themselves. So I’m happy author Marcy Kennedy is here with some excellent metrics to consider when planning a novel and choosing how many POV characters to include. One of the most common challenges for us as writers is deciding how many point-of-view characters we should use, and yet a lot of the advice we hear can be too generic. Use the right number for your genre. Don’t use more than three. While those tips are good general advice, they’re often not specific enough to actually answer our question. Our story might seem to need more than the standard advice would recommend. Or there might not even be a “standard” for our genre. How do we decide how many point-of-view characters to include? One technique we can use for figuring out what’s best for our individual story is to write down all the potential point-of-view characters we might want to use, and then ask ourselves the following questions. Our protagonist is the person whose goal drives the story. Most of the time, we need our protagonist to also be a point-of-view character (and to receive the majority of our scenes). Identify them first, and then you don’t have to consider them in the rest of the questions. Would it improve the story to include scenes from the antagonist’s viewpoint? In some stories, we don’t want to delve into the mind of our antagonist, either because the antagonist is an especially twisted villain or because revealing the identity or plans of the antagonist would ruin the tension. In other stories, knowing the antagonist and his or her plans increases the tension as readers worry about whether our heroes will spot the trap in time. What’s the scope of our story? An epic fantasy spanning five planets where the fate of the galaxy is at stake might require more point-of-view characters than the coming-of-age story of a young woman in feudal Japan. Generally speaking, the smaller the scope, the fewer point-of-view characters we need. The larger the scope, the more we can reasonably use, but that doesn’t mean we must or should—which is where the other questions come in. Does every potential point-of-view character influence the plot in a significant way? This is a good question for checking that each potential point-of-view character is essential. If a character could be cut without having to change the plot in any significant way, or if another character could easily step in and take their place, they probably aren’t a good choice for a point-of-view character because they’re expendable. Does including this point-of-view character’s perspective enhance the theme? Theme is always a tricky area for writers. We don’t want readers to feel like we’re beating them over the head with our message. Theme should develop through our main character’s growth arc and the challenging decisions they face, but another way to enhance our theme is to have characters approach it from varying angles and to take different sides on the issue. Those other characters don’t necessarily need to be point-of-view characters, though. So what we want to look at is whether we need to be inside a character to truly understand their opinion and stance on the issue. Say we’re writing a mystery and we have a detective and her partner. The detective is our protagonist. She’s the one driving our story. So do we also need scenes from the viewpoint of her partner? Maybe, maybe not. If he’s only there to be her sounding board, then we probably never need to go into his head. But, instead, if they’re investigating a crime involving a local church and her partner is a devout Christian, then his perspective on the events and on the people involved would add new layers we couldn’t develop if all we had was the viewpoint of our atheist detective. Which characters play a key role at the climax of the novel? Our whole story builds up to the climax or the “final battle” where our characters fight the antagonist. The characters who are instrumental during this climax are the ones who are most important in the story. These are also good characters to consider for roles as point-of-view characters. If a character isn’t involved in the climax of the story, that’s a clue they might not be important enough to be a point-of-view character. How many scenes might I give this character in their point of view? If we’re only considering giving them one or two scenes, it usually means we want to make this person a point-of-view character to shoehorn in information or to show a part of the story that doesn’t need to be shown. Those aren’t good reasons to make someone a point-of-view character. Each point-of-view character we include needs to have goals, motivations, and stakes within the story and to give a valuable, necessary perspective on the situation. 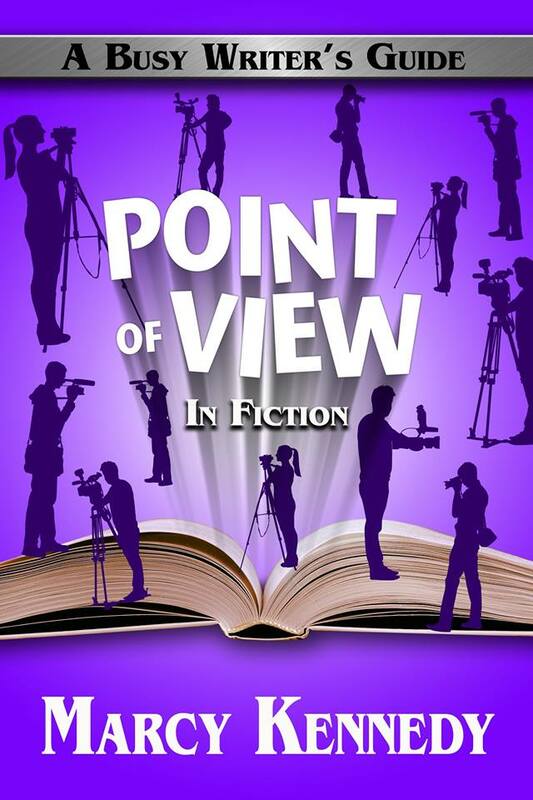 Point of view is the foundation upon which all other elements of the writing craft stand—or fall. Marcy Kennedy is the author of the bestselling Busy Writer’s Guides series, which focuses on giving authors deep teaching while still respecting their time. 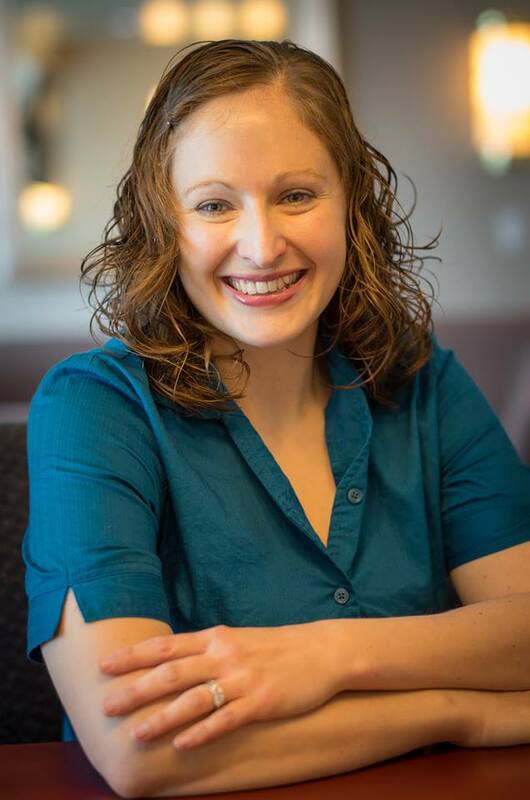 You can find her blogging about writing and about the place where real life meets science fiction, fantasy, and myth on her website. Have a POV question for Marcy? This is an excellent opportunity to pick her brain on all things Point-of-view! This entry was posted in Characters, Guest Post, Point of View, Uncategorized. Bookmark the permalink. Good advice!! I’ll look this one up!! I’m writing about a mother who gave her baby up for adoption as a teenager and the son who comes into her life after 20 years. Most scenes are in their POV, but should her husband’s POV be included since he has been clueless for half the book? The son’s biological father will come later when the son insists on finding him. I’m thinking it would be safe for me to include only the mother’s and son’s POV to be safe as I’m writing my first novel (maybe the last)? Great criteria. Off to make a checklist! Excellent article and advice, thank you! We’ll see. I don’t know that it will benefit the story to change points of view with each book, and telling a good story is more important than employing what may or may not be a literary trick on my part. You might want to try out what Lindsay Buroker did in her Emperor’s Edge series. She had a main POV (belonging to the protagonist) that stayed consistent across every book, but in each book she chose a secondary character to focus on and give POV scenes to. That’s a really nice technique to use if you want to explore many points of view across your series without sacrificing reader connection and a feeling of continuity. Marcy, great article above. I wanted to say your book SHOWING and TELLING is one of the best I’ve read on the subject. I reference it all the time for reminders on how to show and not tell. I’ll have to check out POINT of VIEW next. Marcy, I absolutely love this. You’re so right, about the pat answers that are always thrown out when people ask this question about pov. But the questions you propose really can help us figure out how many pov characters to have. Awesome stuff. Thanks for sharing! Thanks so much for having me here, Angela and Becca. Your site is such a valuable resources for writers, and I’m happy I could share in that. Excellent, pithy article. One to save. Thanks! I’m a big fan of Jodi Picoult, who does multi-POVs masterfully. Although I may never get anywhere close to her ability, I’m experimenting with the process in a novella and I think it’s working well. I’m working with two characters, a young woman who has cared for her father who has Alzheimer’s, and the father. Any hints on how to do it well? It sounds like you’re on the right track with studying an author you admire. Part of your challenge will be authenticity in the viewpoint of the daughter and of her father. My first suggestion would be to make sure you fully understand the disease and how it affects people, and also the unique struggles and mixed emotions of the caregivers involved. My second suggestion would be to also study books by authors who’ve also approached unique viewpoint characters and make note of what they did well and where they stumbled. For example, Randy Ingermanson’s book Double Vision includes a POV character with Aspergers. Thanks, Marcy, for that suggestion. My youngest son is a high-functioning Aspergers young man. Many times jokes go over his head, then a couple of hours later, he gets it. Strange how that works for him. His doctor explained that he may not be the life of the party, but at least now he’ll go to the party. Big improvement from a few years ago.